About one third of our lives are spent in bed. This past week, it feels like it should have been more, given the polar vortex that swept through Columbus. 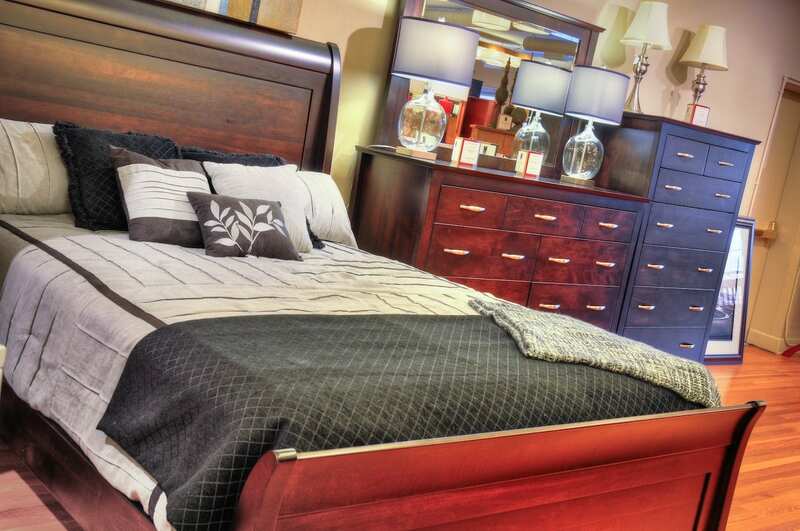 The bulk of the second floor at Amish Originals Furniture Co. is dedicated to this third of your life—filled with beds, dressers, nightstands and all of the other furniture needed to outfit your bedroom beautifully. But furniture alone does not make a bedroom. 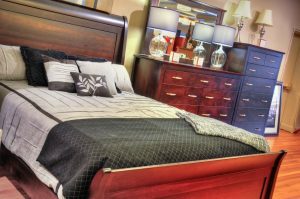 To get the warmth, the coziness, the relaxation that most of us seek at the end of the day, it’s the combination of the furniture and the softer elements like bedding and pillows that really makes the difference.So with a good quality mattress and furniture that reflects your taste and style already at hand, what are the key elements to make your bed the ultimate retreat? The foundation of any bed is the frame; if your bed has a headboard with just a metal frame, we always recommend using a bedskirt. Tailored styles are most popular now, but lots of folks still prefer gathered bedskirts. If you want to feature— rather than hide—the wood of your bedframe, we recommend forgoing the bedskirt and instead using a fitted sheet to cover the box springs for a sleek, tidy look. One splurge we always recommend is good quality sheets. Everyone has their own preferences for fabrics and thread counts, but sheets that are soft and appealing are well worth the investment when you slide into bed at the end of the day. Have a set of sheets for each season and launder them weekly! When making the bed each day, remember to pull out the fitted sheet corners and give them a good snap—this will help shake out the dust mites and will keep the sheets nice and taut. Match the top layer of your bedding to the room décor. Quilts, duvets and comforters all work well depending on the season and the temperature. Also, a folded blanket at the foot of the bed often adds an inviting touch, particularly for naps or reading. The final touch is the pillows. Although some are minimalists when it comes to pillows, there is nothing quite as decadent as a bed made with the right proportions of well-fluffed pillows. The key is not to overwhelm your bed, but rather to accentuate it as the focal point of your room. As a guide, lean the sleeping pillows against the headboard, then layer with square or euro pillows and follow with then standard or king size pillows in front. Add a few colorful throw pillows and you’re set. Wishing you restful and comfortable nights in bed!